The conclave was inaugurated by Mr. Justice S.J. 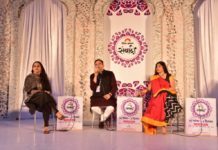 Mukhopadhaya, Former Judge, Supreme Court of India, Chairperson, National Company Law Appellate Tribunal; Mr. Lalit Bhasin, Sr. Advocate; Ms. Nandini Gore, Partner, M/s Karanjawala & Co.; Prof. Balraj Chauhan, Director, Amity Law School, Lucknow; Prof. (Dr.) D.K. Bandyopadhyay Chairman, Amity Law Schools; Hon’ble Vice Chancellor, Prof. (Dr.) Balvinder Shukla Amity University Uttar Pradesh and Gp. Capt. A.K. 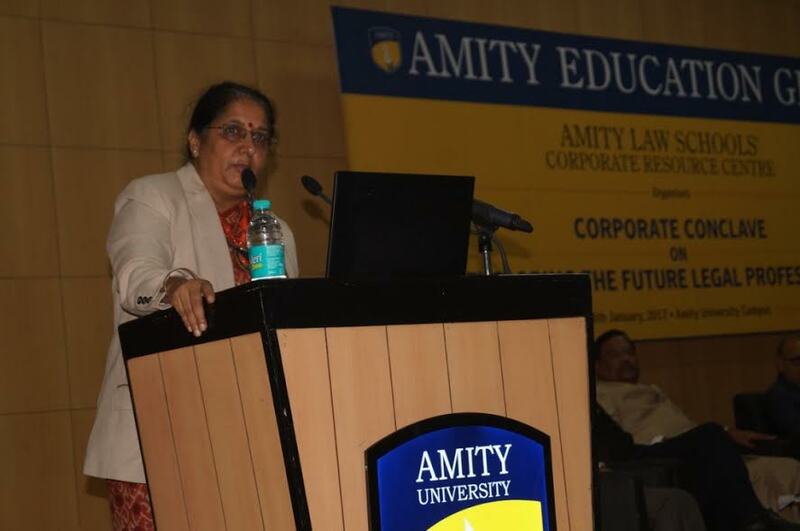 Saxena, Head- Corporate Resource Centre, Amity Law Schools. The aim of conclave was to provide a global platform to the budding legal professionals to take lead in the global legal business. Welcoming the gathering, Prof. (Dr.) D.K. Bandyopadhyay said that academic institutions are the knowledge creators, generators and disseminators. With various platforms provided by academic institution, students must utilize the opportunities to acquire best of skills and learning. Emphasizing on the value of change, he mentioned that change is the only thing that is constant and everybody should embrace it. He opined that youth should focus on bringing positive and innovative changes in society. 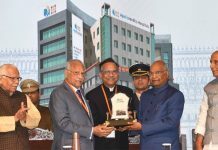 He remarked that the legal professionals can bring evolution by working on innovative ways to help mankind and strengthening the legal fraternity. Addressing the gathering, Hon’ble Mr. Justice S.J. Mukhopadhaya said that many students opt for legal education by just following the footsteps of their friends, it is imperative for them to realize the importance of the profession and work on the future career path according to their own self. He advised the students to focus of holistic development as a professional and not to be just carried away by the monetary incentives offered by the legal profession. Justice Mukhopadhaya highlighted three important factors in legal profession which are labour, legal application and luck. He emphasized on maintaining honest and belief in oneself as a legal professional. He averred that learning is a continuous process and growth of an individual depends upon his knowledge absorbing skills. Briefing about upcoming areas in legal industry, Ms. Nandini Gore said that Alternative Dispute Resolution (ADR) is a fast growing career option for budding legal professionals. They need to have diverse skills such as Research, Informational Interviewing and Volunteering for pursuing the same. Sharing his views, Prof. Balraj Chauhan said that legal profession is regarded as a social institution. It is necessary for budding professionals to understand the nature and purpose of laws. He averred that legal educators must possess some experience in legal profession such as witnessing the litigation process of court, this way they will be able to teach the nuances of legal profession better rather than just teaching theory from books. Prof Chauhan advised the students to dream with open eyes to reach the destination of success. During the day, various sessions were conducted and deliberations were made on various topics including challenges and opportunities for legal professionals, industry expectations from young law professionals and strategy for developing talent for global business and legal requirements amongst others.